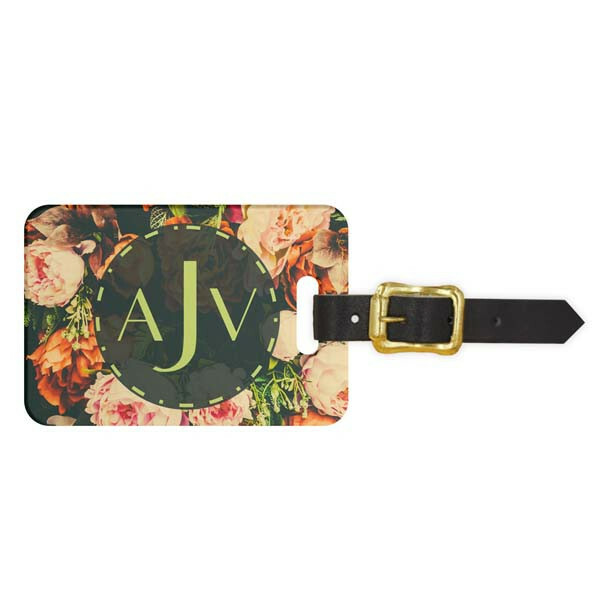 Delicate, vintage florals and a pretty monogram give this luggage tag a romantic, hippie vibe. Travel in timeless style and ease when you personalize yours. Inspired by Jane Austin, Little Women, and other powerful, feminine literary works of the past, this feminine bouquet with your monogram is timeless and elegant. 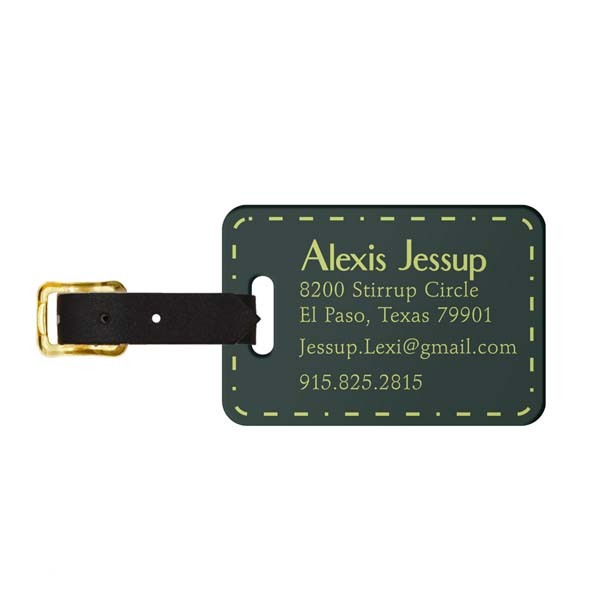 Perfect for romantic getaways, work trips and girls' weekends, these fun and functional, 2.75" x 4" luggage tags will put your style on display, help you spot your bags in the luggage claim, and ensure that lost goods will always come back home. Best of all, they're made in the USA and ship by next business day!